From Lauterbrunnen to El Salar de Uyuni, from Monterey to Machu Picchu, approximately 150 Williams students crisscross the globe each semester, pursuing academic adventures that will inform the rest of their college experiences—and their lives. The college offers more than 250 opportunities for study away, ensuring that students can find a program that sparks their intellectual curiosity. Read on about the two highly acclaimed programs run by Williams. Williams offers a year-long program of study at Oxford University in collaboration with Exeter College. As Visiting Students at Exeter, Williams students are full undergraduate members of the University, eligible to access all of its facilities, libraries, and resources. 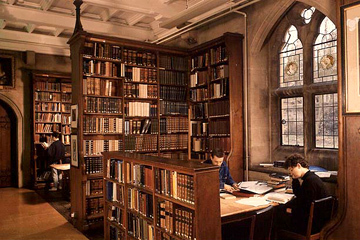 The Williams-Exeter Programme at Oxford provides students with a unique opportunity to participate fully in the intellectual and social life of one of the world’s great universities. A one-semester interdisciplinary ocean and coastal studies program integrating marine science, maritime history, ocean policy, and literature of the sea, The Maritime Studies Program of Williams College and Mystic Seaport offers hands-on and discussion-based courses with an emphasis on original research. You may learn to forge iron, build a wooden boat and sail while making Mystic Seaport—the largest maritime museum in America—your campus for the semester.